The word “inclusion” has become increasingly conspicuous over the last few decades, both in well-intentioned, though vague, political speech, and as a guiding element for obtaining scientific funding in the social sciences. 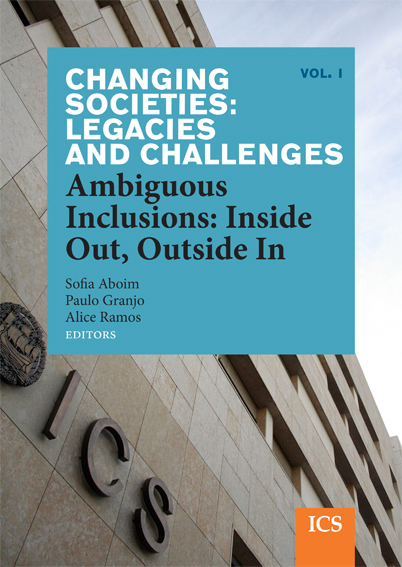 We believe that the set of texts of this volume demonstrates that the criticism of simplistic and irreflexive uses of the idea of “inclusion” does not supress its relevance as a trans-thematic and transdisciplinary research line. On the contrary, to conceive and approach inclusion and exclusion as ambiguous and socially situated notions, and to study their dynamics and processes according to their complexity and the key-role played by liminality, provides an innovative conceptualisation contributing to the advance of research and enhances the heuristic potential of those notions. We can even reasonably hope that such an approach by the social sciences might eventually influence the political and public speech about inclusion and exclusion, turning it into something less pedestrian and ideological​.